There are only 7 heroes in Mystic Woods’ faction. Our Ultimate Seven Knights Hero List guides take a deeper look at the faction members & their bios, see how to evolve their ranks, learn of their special skills, plus more. Read our full review on Seven Knights for an overview of the entire game… and let’s demystify some of the complex upgrade system so you can use to your advantage! Below you will find three tables with slightly different information. The key differences are Rank, HP (base), Physical Attack (base), Defense (base), Speed, and various percentages in all Skills. As you can see we have listed the base stats for HP, Physical Attack and Defense. These numbers increase as you Level Up, Power Up or increase both in combination. 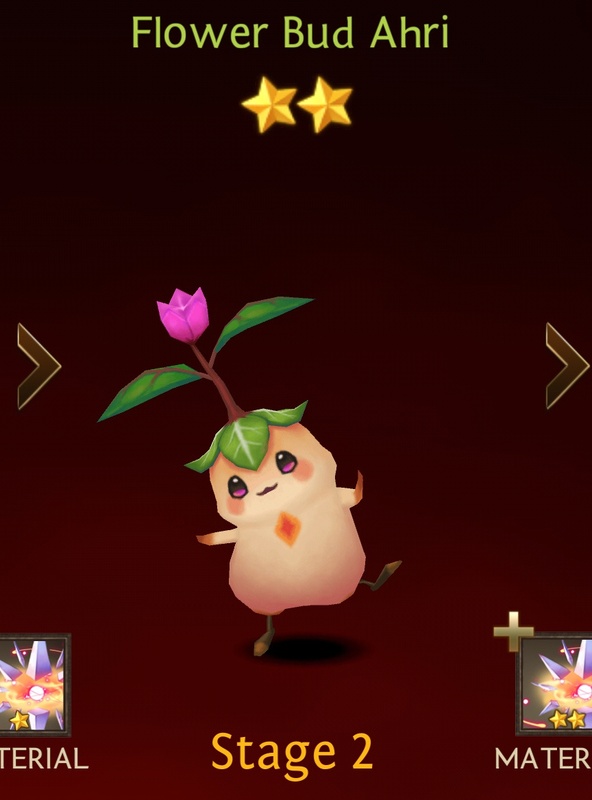 For example, if you acquire Nocturnal Flower Black Rose and Level Up to max level 40 plus Power Up to max +5 his stats would read: HP 2912, Physical Attack 1637, Defense 793. 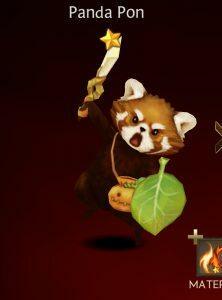 Unfortunately, all characters in the Mystic Woods’ faction are veiled in mystery. We will offer an online Seven Knights calculator soon for you to compute stats yourself. The main goal of being familiar with these figures and knowing about hero skills is to give you a competitive advantage while playing. Knowing when to use or when not to use a skill in battle can make the difference in success or defeat in tough bouts. Goblin Chief Hokin Offensive 493 263 87 16 Weapon Throw. Attack an enemy with 180% Physical Attack. 48 Swift Rider. Become Immune to Physical Damage for 3 turns. 140 Rider’s Spirit. Increase Physical Attack by 30% when HP is below 50%. 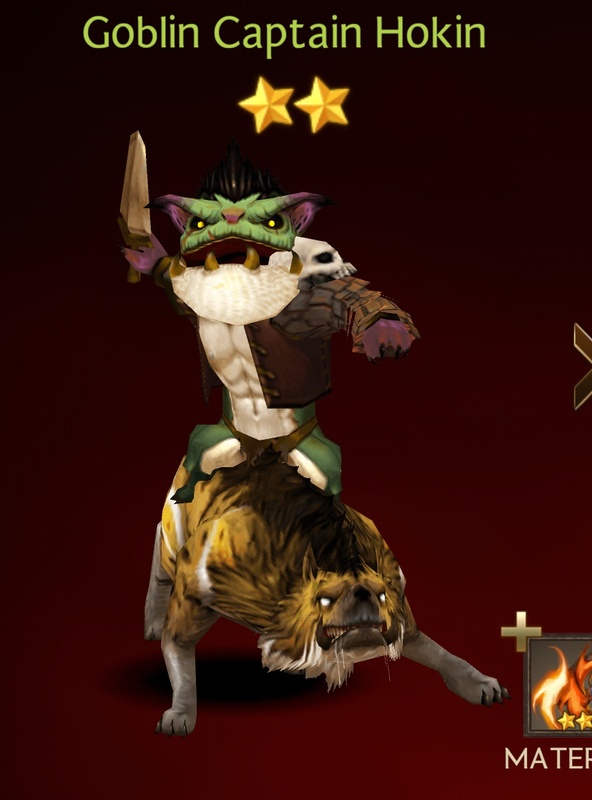 [Hard] Mystic Woods 1-10 Hokin’s significant contribution to expanding the Goblin forces has earned him the great title of Goblin Chief. Gold King Pepe Defensive 824 156 144 10 Bounce. Attack an enemy with 180% Magic Attack. 48 More Jelly. Heal self with 160% Magic Attack. 58 Cell Division. Revive once with 25% HP. [Hard] Mystic Woods 1-5, 1-10 Although the constant Gobblin invasions worry him still, Pepe was so determined to defend the forest was so great that it turned him gold. 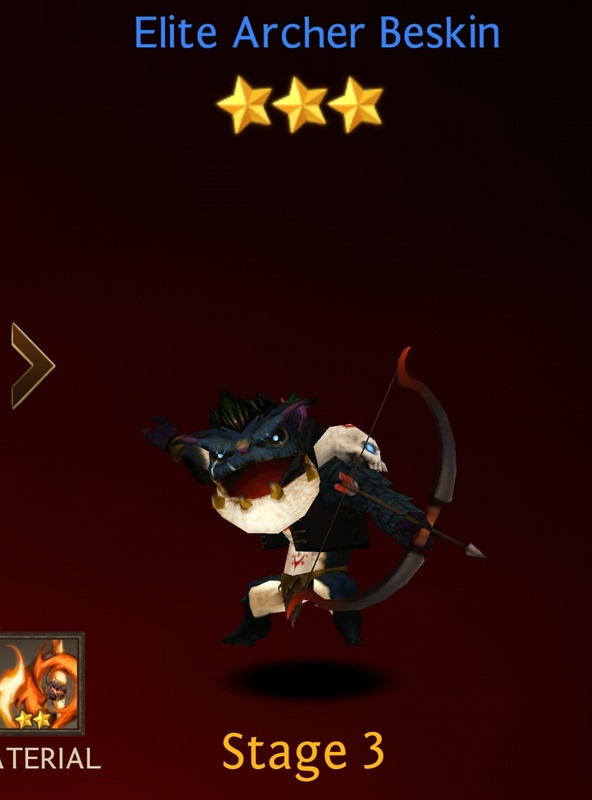 All 3-star Mystic Woods heroes do not have Passive skills. Tribe Chief Hokin Offensive 378 201 67 13 Weapon Throw. Attack an enemy with 170% Physical Attack. 48 Swift Rider. Become Immune to Physical Damage for 2 turns. 140 [Normal] Mystic Woods 1-10. [Hard] Mystic Woods 1-10 3 Star Fire Element Hokin inherited the title of Chief from his father. He now leads his army of Goblins to raid Mystic Woods. Elite Archer Beskin Offensive 386 212 76 13 Rapid Fire. Attack an enemy with 170% Physical Attack. 44 Critical Hit. Attack an enemy with 100% Physical Attack. Critical Hit is guaranteed. 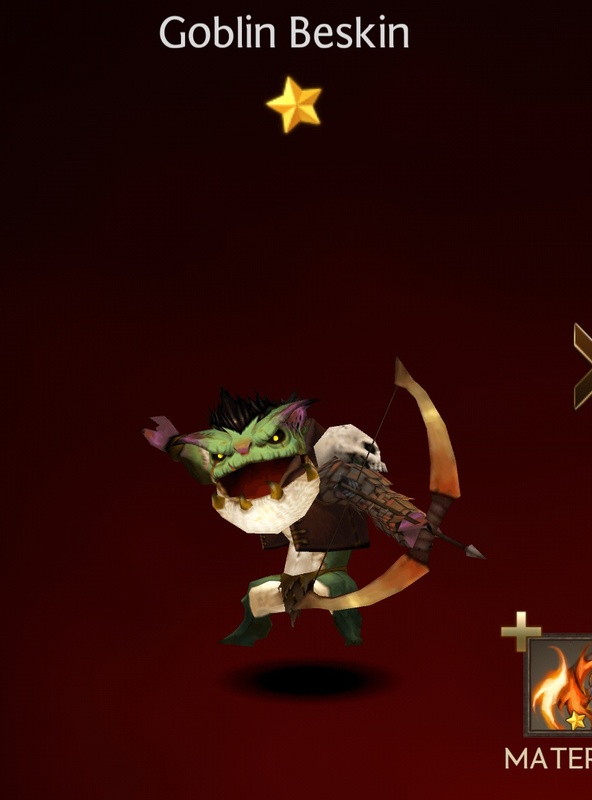 56 [Hard] Mystic Woods 1-6, 1-10 None Beskin’s significant contribution to the plunder of Mystic Woods has earned him the title of Elite Goblin from the Goblin Chief. Traveler Pon Offensive 378 201 67 13 Spinning Strike. Attack an enemy with 170% Physical Attack. 44 Stubborn Will. Increase Critical Rate by 60% for 2 turns. 54 [Hard] Mystic Woods 1-6, 1-10 None After much pondering, Pon decided to go on a journey. He calls himself a traveler, but has yet to leave the forest. Silver King Pepe Defensive 635 120 111 8 Bounce. Attack an enemy with 170% Magic Attack. 48 More Jelly. Heal self with 150% Magic Attack. 58 [Normal] Mystic Woods 1-5, 1-10. 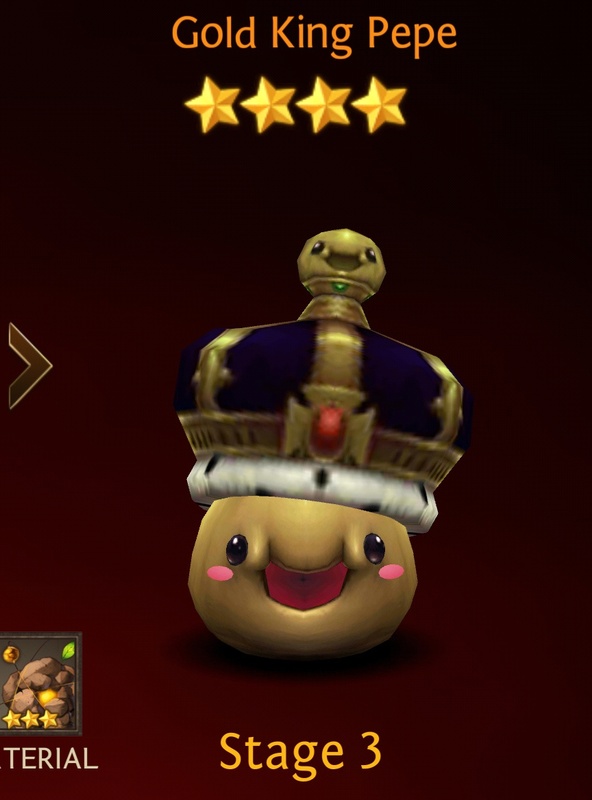 [Hard] Mystic Woods 1-5, 1-10 3 Star Earth Element After his succession to the throne, Pepe grew into his role as king. The intruding Goblins are his main concern as his hatred for confrontation still remains. Magic Slime Popo Defensive 635 120 111 8 Bounce. Attack an enemy with 170% Magic Attack. 44 Elastic Jelly. 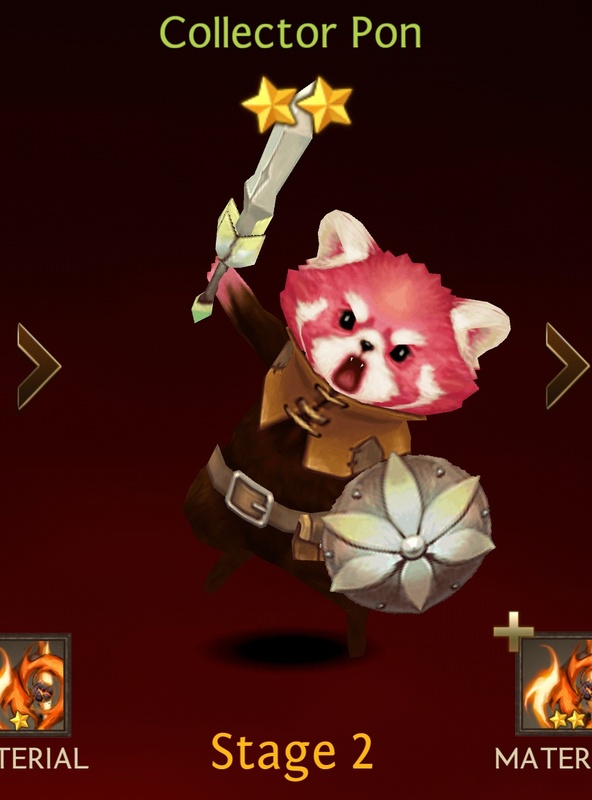 Increase Defense by 50% for 2 turns. 54 [Hard] Mystic Woods None Pop is not aware that he turned blue after he ate fruit from the Mothretree, the largest tree in Mytic Woods. Red Petal Ahri Support 443 139 75 6 Body Ram. Attack an enemy with 170% Magic Attack. 44 Blessed Leaf. Remove debuffs from an ally. (Decrease HP by 25% if Death debuff is removed.) 54 [Hard] Mystic Woods None A fully blossomed Ahri is rare in Mystic Woods. She is willing to defend her flower against all who try to pluck it. 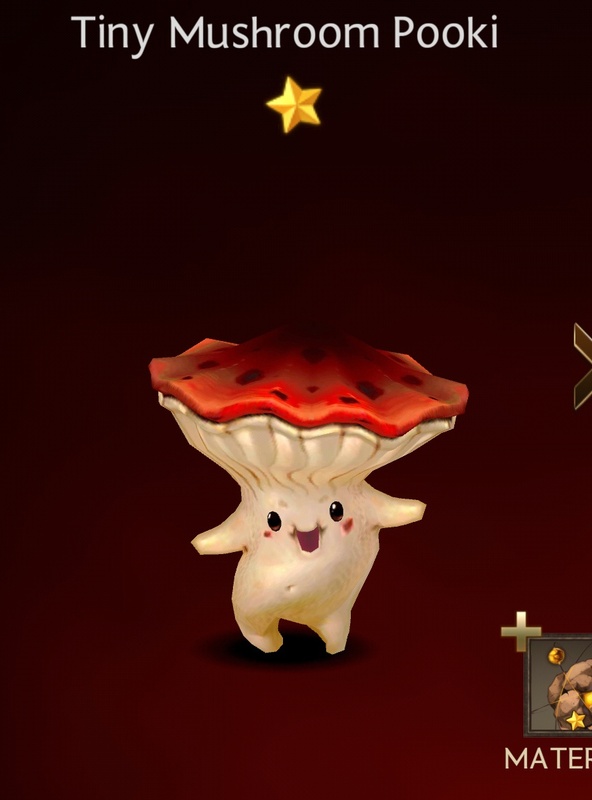 Enhanted Mushroom Pooki Defensive 635 120 111 8 Skull Crush. Attack an enemy with 170% Physical Attack. 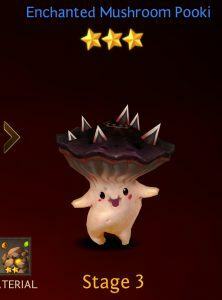 44 Lucky Shroom. Recover HP by 50%. 132 [Hard] Mystic Woods None Pookie earned special powers by consuming the magic fruit of the Mothertree. 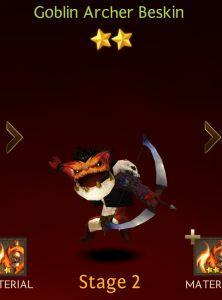 Can the newly improved Pooki hold up against the Goblins? All 2-star Mystic Woods heroes do not have Passive skills. 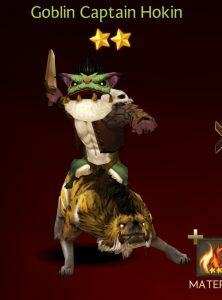 Goblin Captain Hokin Offensive 294 156 51 10 Weapon Throw. Attack an enemy with 160% Physical Attack. 48 Swift Rider. Become Immune to Physical Damage for 1 turn. 140 [Easy] Mystic Woods 1-10. [Normal] Mystic Woods 1-10. 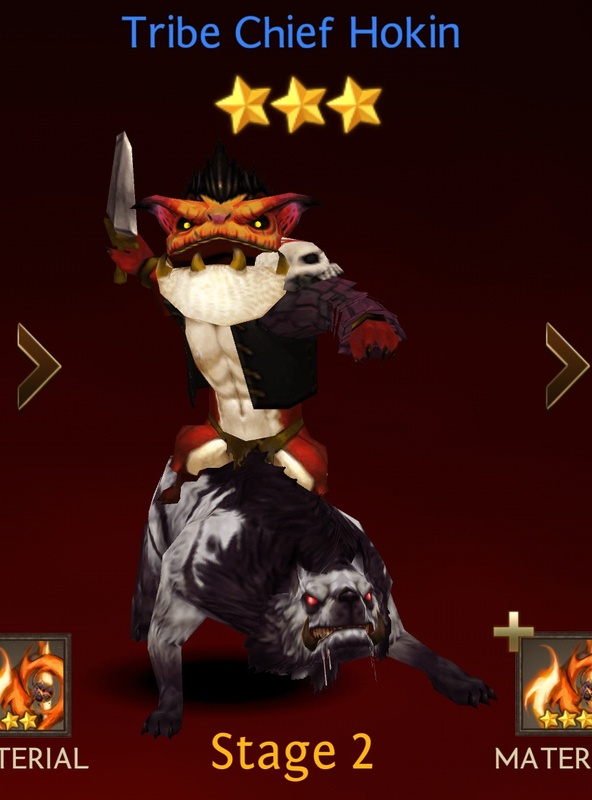 [Hard] Mystic Woods 1-10 2 Star Fire Element As the Captain of the Goblins, Hokin helped his Goblin Chief father conquer the Wind Forest. Goblin Archer Beskin Offensive 300 163 57 10 Rapid Fire. Attack an enemy with 160% Physical Attack. 46 Critical Hit. Attack an enemy with 90% Physical Attack. Critical Hit is guaranteed. 56 [Normal] Mystic Woods 1-6, 1-10. 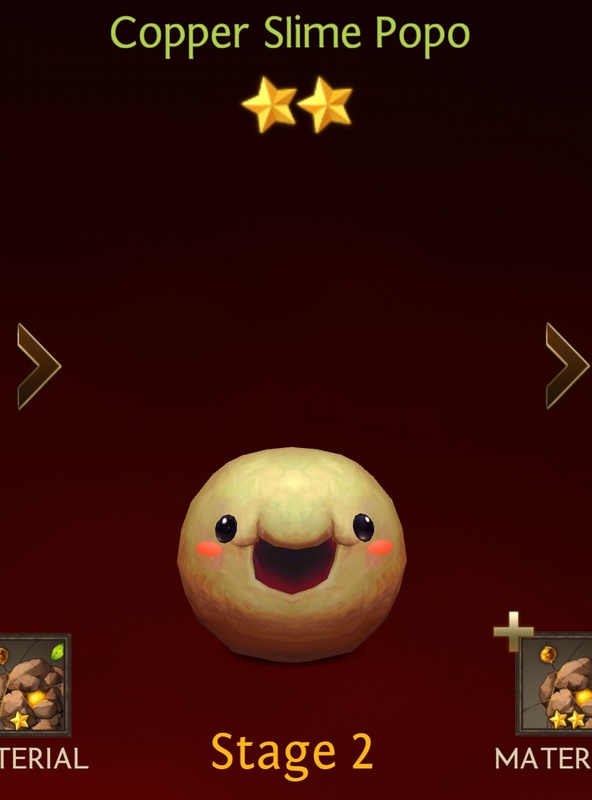 [Hard] Mystic Woods 1-6, 1-10 2 Star Fire Element Beskin improved his archery skills to raid the Mushrooms and the Slimes living in Mystic Woods. Collector Pon Offensive 294 156 51 10 Spinning Strike. Attack an enemy with 160% Physical Attack. 44 Stubborn Will. Increase Critical Rate by 55% for 2 turns. 54 [Normal] Mystic Woods 1-6, 1-10. 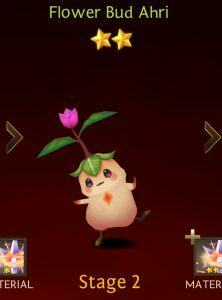 [Hard] Mystic Woods 1-6, 1-10 2 Star Fire Element Pon has equipped himself with various items he collected all over Terra. His new equipment also seemed to have boosted his stubbornness as well. 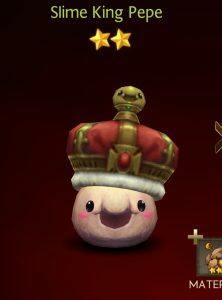 Slime King Pepe Defensive 489 91 87 6 Bounce. Attack an enemy with 160% Magic Attack. 48 More Jelly. Heal self with 140% Magic Attack. 58 [Easy] Mystic Woods 1-5, 1-10. [Normal] Mystic Woods 1-5, 1-10. 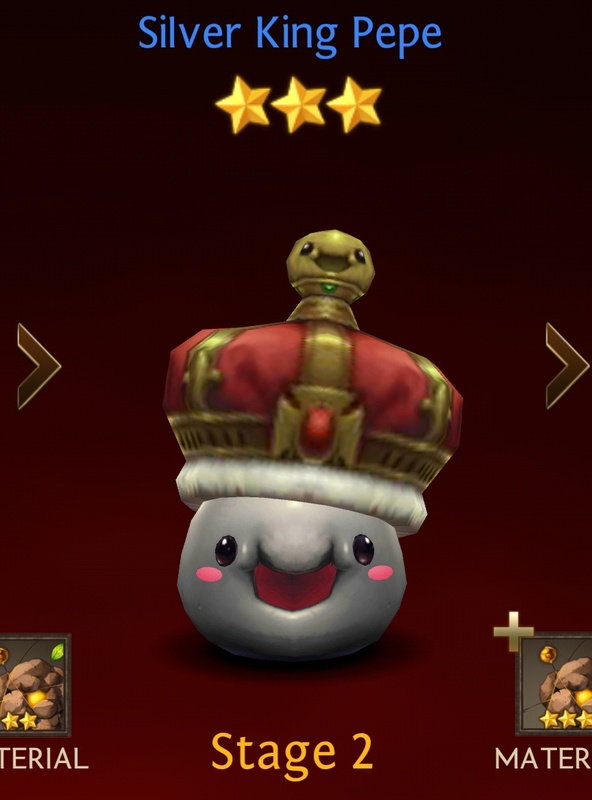 [Hard] Mystic Woods 1-5, 1-10 2 Star Earth Element King Pepe hates confrontations. 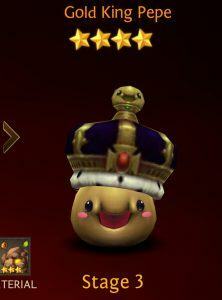 The crown that he inherited from his father is said to be too heavy for him that he currently wears a fake one instead. 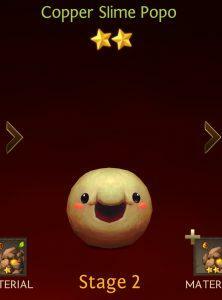 Copper Slime Popo Defensive 489 91 87 6 Bounce. Attack an enemy with 160% Magic Attack. 44 Elastic Jelly. Increase Defense by 40% for 2 turns. 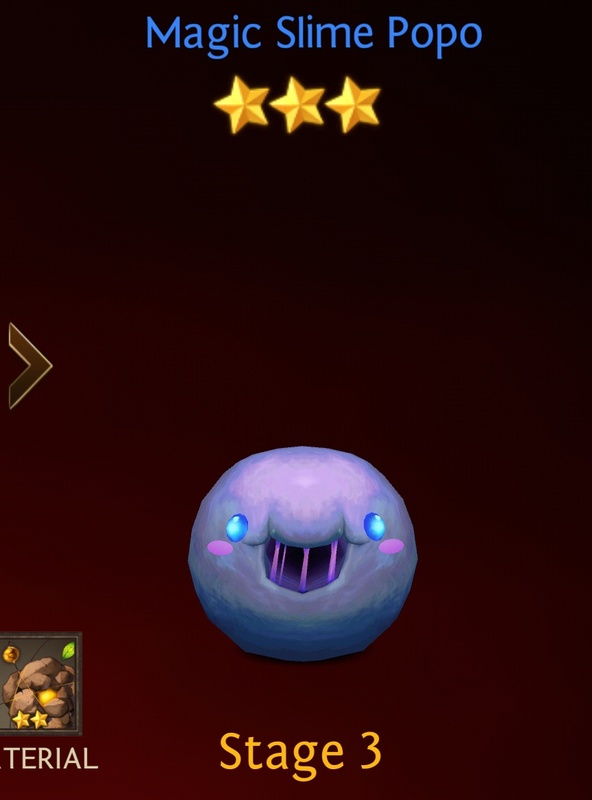 54 [Normal] Mystic Woods, [Hard] Mystic Woods 2 Star Earth Element Popo’s slime changed to copper color, increasing its elasticity and strength. Flower Bud Ahri Support 341 108 59 4 Body Ram. Attack an enemy with 160% Magic Attack. 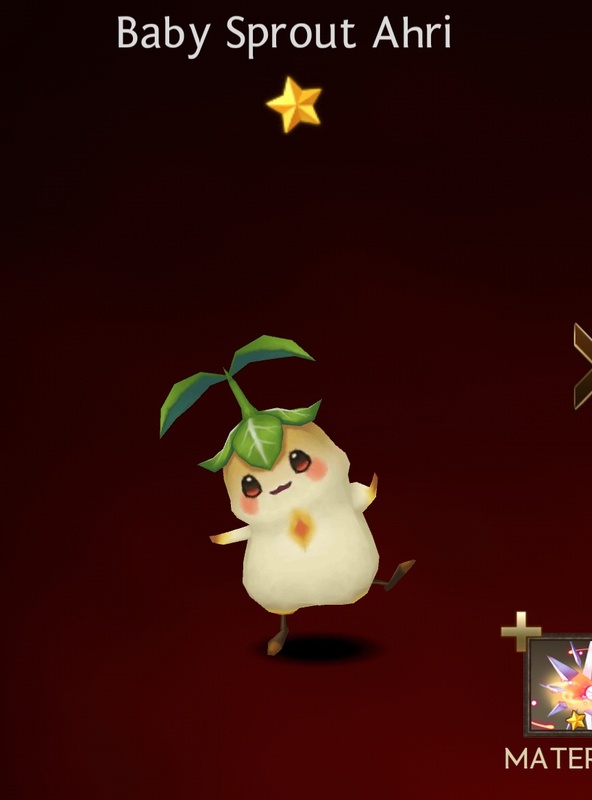 44 Blessed Leaf. 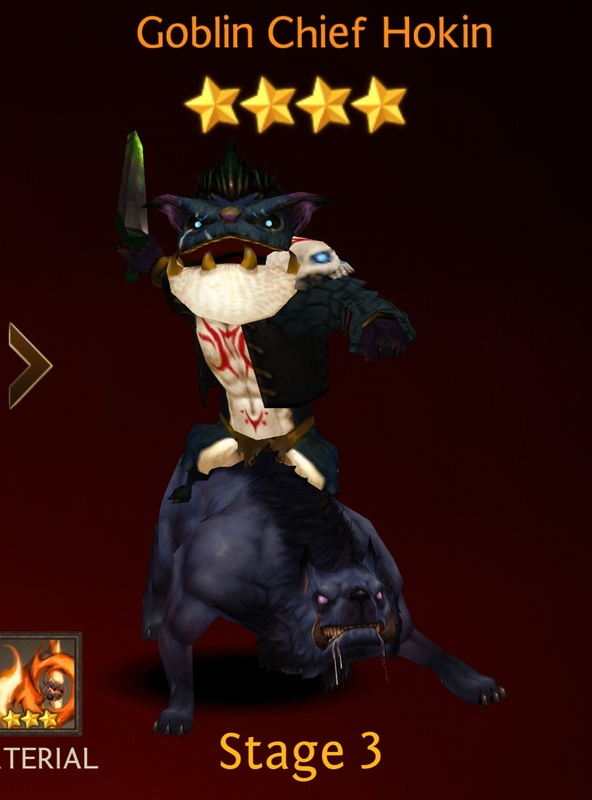 Remove debuffs from an ally. (Decrease HP by 25% if Death debuff is removed.) 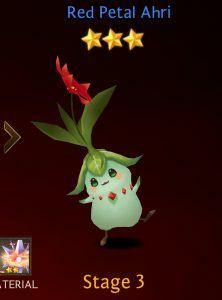 59 [Normal] Mystic Woods, [Hard] Mystic Woods 2 Star Light Element Baby Sprout AHri matured into a budding flower. She seems to be getting more prickly as she blossoms. Inky Cap Pooki Defensive 489 91 87 6 Skull Crush. Attack an enemy with 160% Physical Attack. 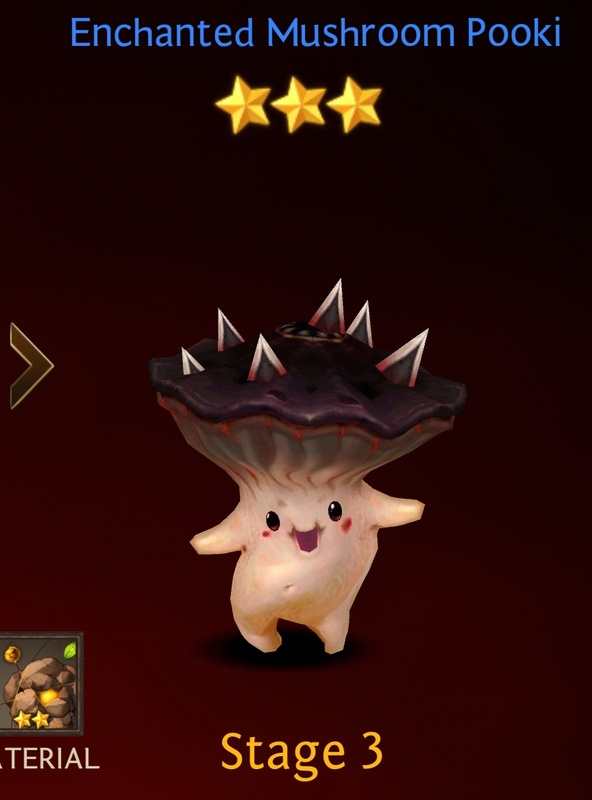 44 Lucky Shroom. Recover HP by 45%. 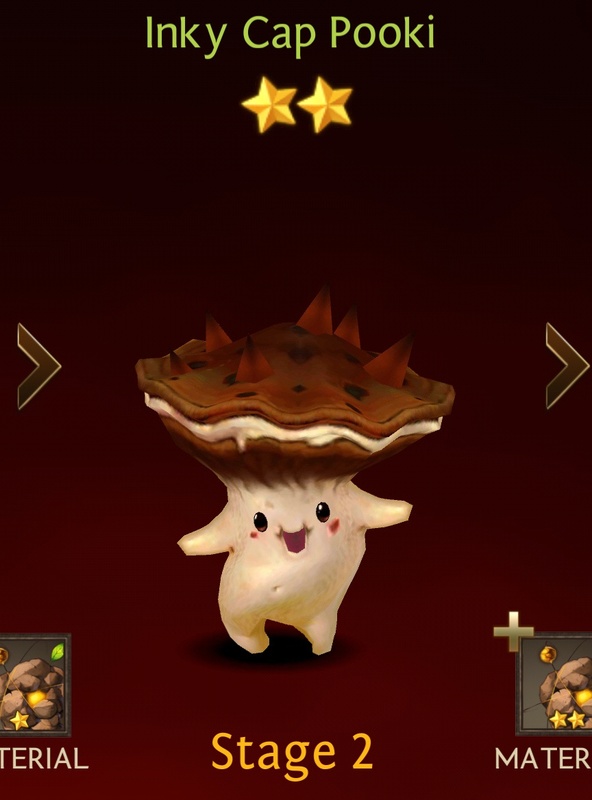 132 [Normal] Mystic Woods, [Hard] Mystic Woods 2 Star Earth Element Determined not to be picked on by the Goblins, Pooki trained hard to become stronger. However, it still seems like he needs more training. 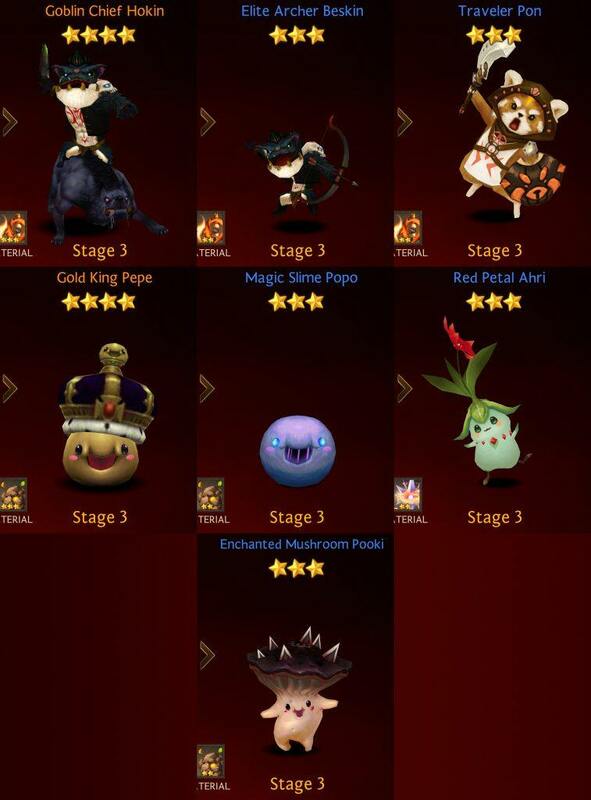 All 1-star Mystic Woods heroes do not have Passive skills nor Second skill. Goblin Beskin Offensive 228 120 41 8 Rapid Fire. Attack an enemy with 150% Physical Attack. 46 [Easy] Mystic Woods 1-6 – 1-10. [Normal] Mystic Woods 1-6 – 1-10. [Hard] Mystic Woods 1-6 – 1-10 1 Star Fire Element Found in the northern part of Mystic Woods, this mischeivious Goblin is known to bother any adventurers that wander by. Panda Pon Offensive 226 117 39 8 Spinning Strike. Attack an enemy with 150% Physical Attack. 44 [Easy] Mystic Woods 1-6, 1-10. [Normal] Mystic Woods 1-6, 1-10. [Hard] Mystic Woods 1-6, 1-10 1 Star Fire Element It is said that he got his name from being called the Pondering Panda. He is very stubborn and proud. 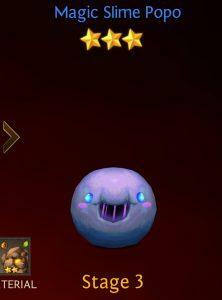 Slime Guard Popo Defensive 378 72 67 4 Bounce. Attack an enemy with 150% Magic Attack. 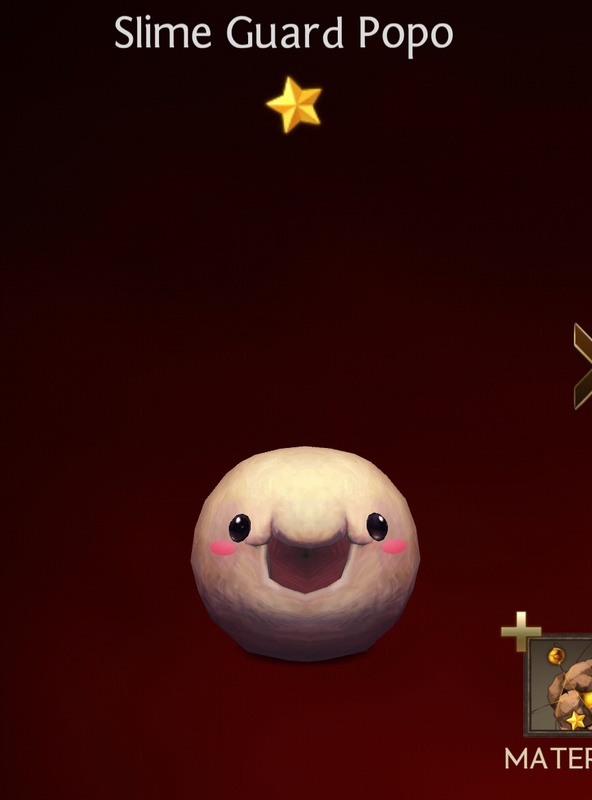 44 [Easy] Mystic Woods, [Normal] Mystic Woods, [Hard] Mystic Woods 1 Star Earth Element Born from the old tree saps in Mystic Woods, Popo guards Pepe the Slime King. Baby Sprout Ahri Support 263 83 46 2 Body Ram. 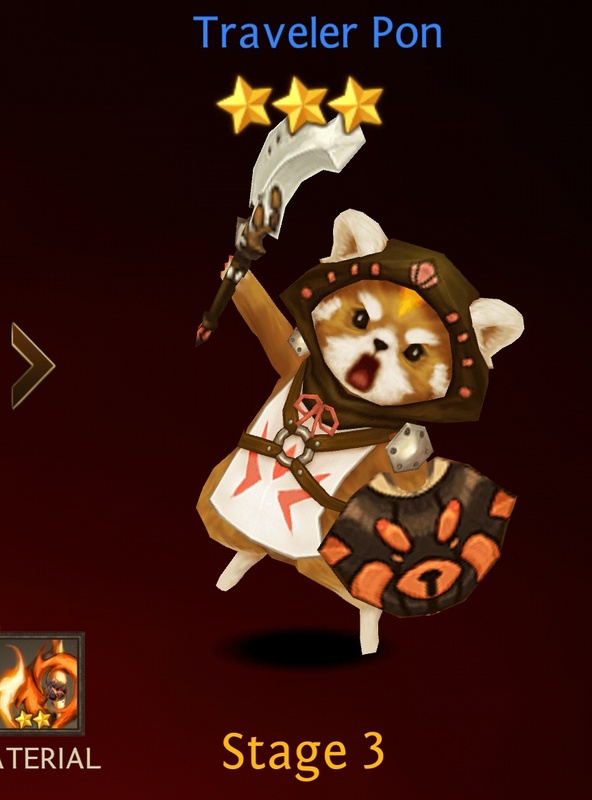 Attack an enemy with 150% Magic Attack. 44 [Normal] Mystic Woods, [Hard] Mystic Woods 1 Star Light Element A rare, timid plant found in the eastern part of Mystic Woods. Ahri tends to hide when humans are near. Tiny Mushroom Pooki Defensive 378 72 67 4 Skull Crush. Attack an enemy with 150% Physical Attack. 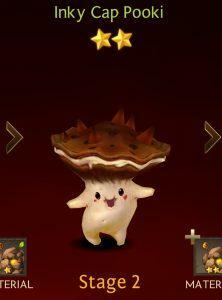 44 [Normal] Mystic Woods, [Hard] Mystic Woods 1 Star Earth Element Found in the eastern part of Mystic Woods. He says he hates Goblins, but he seems to be scared of them.